The trend of the beauty industry is not stopped only by the rising trend of wearing good makeup. The concerns of having a healthy, flawless, and beautiful skin are gaining public interest recently and attracts the consumer to try using skin care products. Understanding this trend, we would like to discover respondents experience in using skin care products in their daily life. 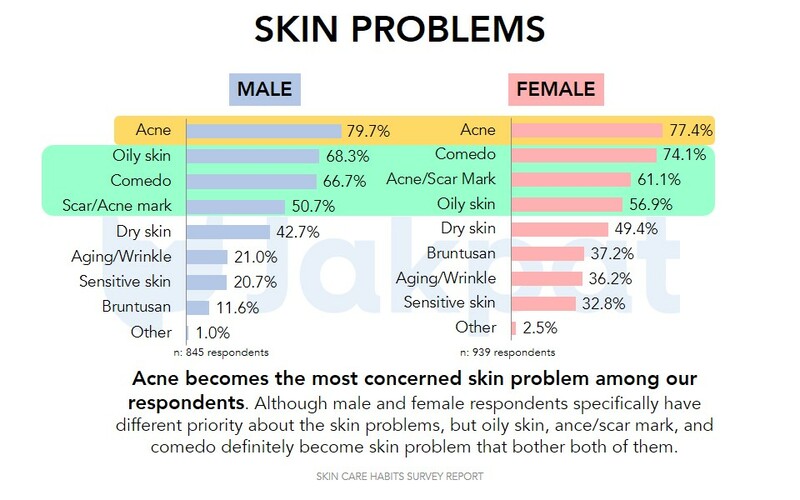 We invite 1.976 respondents in nationwide, both male and female respondents in balance sampling proposition to share their experience on using skin care. According to our result, we could see the bright and promising future of the skin care industry in Indonesia. 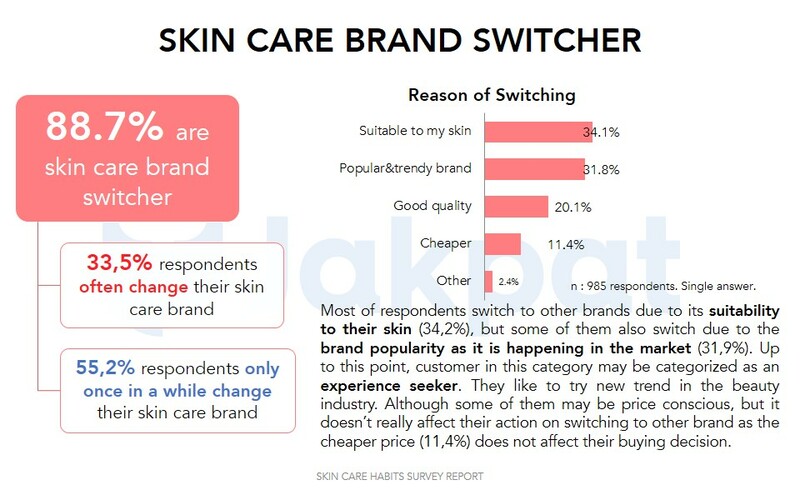 Our research suggests that respondents interest in skin care product is quite high, as most respondents in this survey are using one. 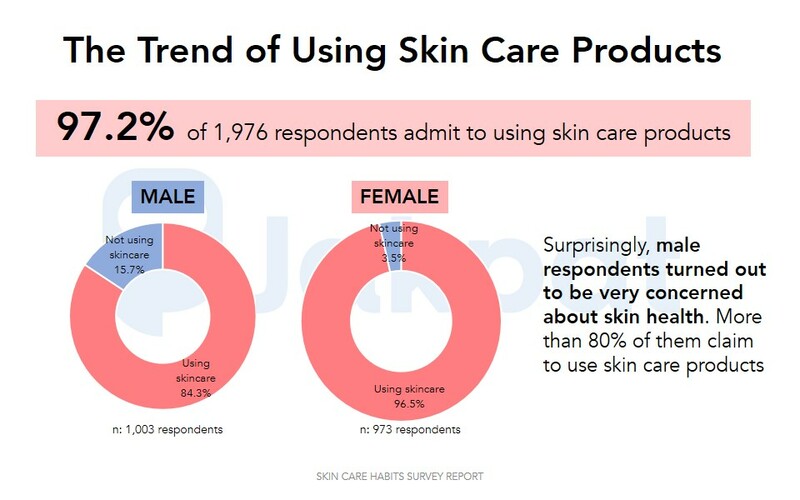 Despite those who already using skin care, most of those who do not use skin care yet mentioned that they would like to try using one in the future. 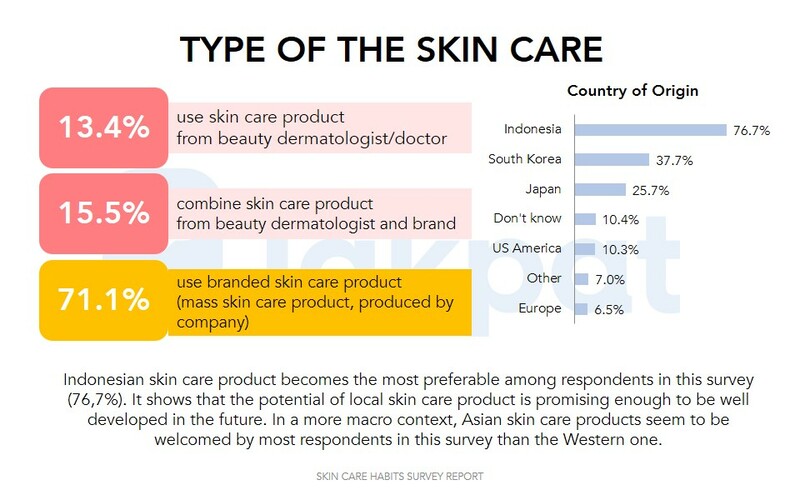 Moreover, we also notice the potential of branded skin care (non-prescribed by the dermatologist), as well as the potential of Indonesian local brand to compete in the global market. This entry was posted in Download Reports, Health, Lifestyle on September 17, 2018 by Syaifa Tania.